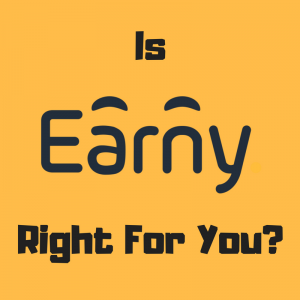 Earny Review – How Much is Your Privacy Worth? I was browsing Instagram the other day when an add popped up for Earny, an app that monitors your purchases for price drops, then gets the difference refunded to you. I do a ridiculous amount of my shopping online, so this seemed like an interesting concept. I used to use a service to track price drops on Amazon, but they stopped offering refunds for price drops, so I was intrigued to see Amazon on this list. It turns out that for stores like Amazon, Earny relies on the price protection provided by many credit cards to get you your refund. Awesome! Of course, I knew there was a catch. There had to be a catch. Earny takes 25% of all your refunds at the end of the month. That’s not too bad. After all, I don’t track prices now, so getting any money back would be great. So I downloaded the app and started the sign-up process. And immediately, I paused. While I don’t have a problem with a company like Earny tracking my purchases, the method they use to do it makes me very nervous. Earny requires you to give them access to your email. All of your email. And you don’t just have to give them access to read your emails, you give full access, so Earny can also send emails on your behalf. 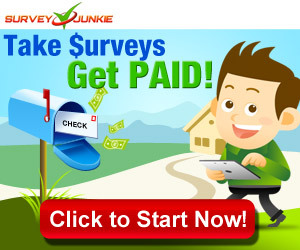 That was when I paused my sign-up process and started to do my research, something I should have done when I started. Do you know how Earny requests your cash back? They send an email on your behalf. And not from their servers. No, they send an email from your account pretending to be you. That’s more than a little creepy. My first thought was “Oh great, does that mean that they’re going to spam my friends with Earny invites?” Then I realized that should be the least of my concerns. Do I really want to be giving full access to my email to a company I don’t know anything about? Think about what you can access if you have access to another person’s email account. But Earny Says They’re Secure! Earny claims that “the security of your email is supervised by highly secured companies.” I’m sure this is true. But how many hacking cases have we seen recently? By giving Earny full access to my email, am I increasing the risk that my email gets hacked? And how much do I really know about Earny in the first place? While they seem like a reputable company, that can always change. Who knows what else might be mined from my email account? Maybe I’m paranoid, but I just don’t think it’s worth the risk for me. If you’re still intrigued and want to give Earny a shot, I recommend setting up a new email account for your online purchases. That way, you’re not giving Earny access to all of your email, but just the records of your purchases. That account also won’t have your friends’ email addresses programmed in, so no worries about them being sent unwanted emails. You still will have to provide some personal information, such as linking credit cards and other accounts, so there is still some risk, but it seems a much smarter choice. I’m not sure it’s a step I plan to take. I like having all of my shopping receipts sent to my main email account. I don’t want to have to take the additional step of managing multiple accounts. I do much better having everything in one place. Do you use Earny? I’d love to hear about your experiences. Maybe if I hear about people saving a good amount of money, I’ll be tempted to sign up.